Did you know that your nervous system controls every single function in your body? At Elite Chiropractic & Rehab, we focus on promoting the health of this master system. Dr. Brown is an expert in ensuring that your nervous system is free from any interference that prevents you from experiencing your best possible health. When a vertebra is out of place in your spine (called a subluxation), it can be gently corrected, allowing you to express health the way you were designed to. You might feel better, have more energy and see other numerous benefits of chiropractic care. When you’ve been properly adjusted, it feels like someone has turned the power on in your body. When you become a patient at Elite Chiropractic & Rehab, you’ll sit down with Dr. Brown to discuss your problems. We want to find out how these issues are holding you back and what you want to accomplish in seeking our help. Some of our patients have a desire to get out of pain while others want to manage their health with affordable, ongoing care. 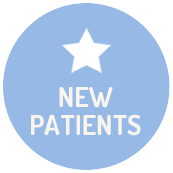 We’ll talk about what you can expect and the duration and frequency of your care. 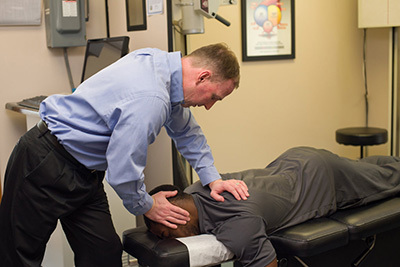 The conditions Dr. Brown most commonly treats include neck pain, back pain and headaches. Once you’ve been relieved of your pain, we’ll discuss how you can maintain your health in the long term. There are many adjusting techniques Dr. Brown is well-versed in, chosen for you based on our years of experience and your comfort. We’ll walk you through each step before beginning the adjustment so that you feel confident in proceeding. When appropriate, we may recommend an additional therapy along with your chiropractic care, such as electrical muscle stimulation, spinal decompression, ultrasound or Graston Technique. These solutions may reduce pain, swelling and inflammation or relax your stressed muscles. Extended hours are available for your convenience. Contact us today to discuss what we can do for you!